It feels very natural to sit across from John Krasinski. At 25, he was plucked from obscurity to play Jim Halpert in “The Office,” and for the next eight years, we watched Jim (and John) talk to us. 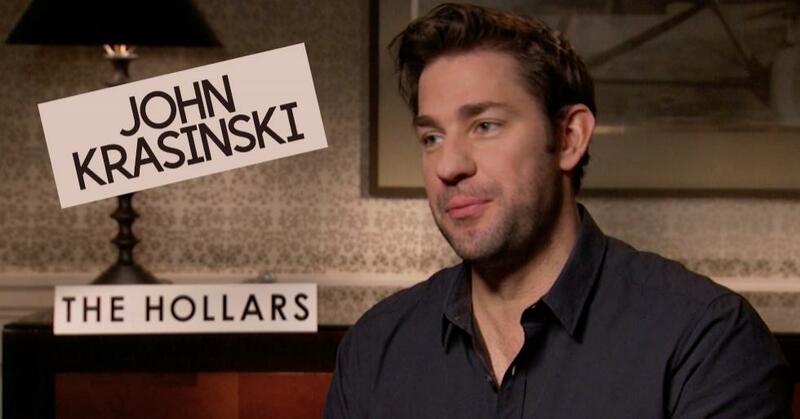 It’s not unusual for fans to convince themselves they know celebrities, but there was something different about the bond to Krasinski. We learned his laugh, his facial expressions, his inflections—he became impossibly familiar. When it came time to interview him, it strangely felt like the continuation of a conversation that had been happening for a long time. Of course, that’s an illusion. Krasinski is not Jim Halpert—a fact that he has proven in recent years with acting roles, screenplays and directorial efforts. His latest endeavor, “The Hollars,” premiered at the Sundance Film Festival and opens in theaters Friday. It’s a story about a man coming home, but more importantly to Krasinski, it’s about a family reconnecting.